The release of Apple’s iPad earlier this year set up the playing field for ultra portable touch screen tablets. We’ve already seen many new concept tablets that have attempted to compete with the iPad. Among these tablets is Toshiba’s newest device, the Libretto W100. 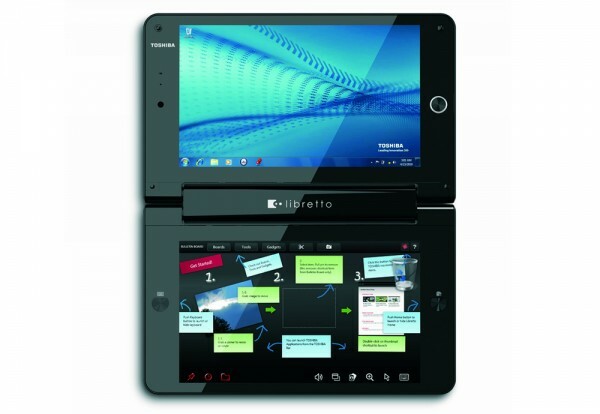 The Libretto W100 takes a slightly different approach to the ergonomics of tablet computing, with its highlight features being its dual-touch screens and clamshell design. Weighing in at only 1.8 lbs, with dimensions of 7.95” (W) x 4.84” (D) x 1.2”(H), this new device is designed to be portable in every sense of the word. The clamshell design is especially useful on the go, and will prevent users from scratching the screens. What truly makes the Libretto W100 different from its iPad counter-part, however, is its two 7.0 inch diagonal multi-touch displays. Users will be able to either choose which displays they want to use or have single applications open across both displays. The dual displays add an interesting dynamic to tablet computing and make the Libretto look like an amusing cross between a Nintendo DS and a laptop. While it may not be a replacement for laptops, it will definitely have most of the core functionality that netbooks have, including the ability to run the full version of Windows 7 Home Premium with touch capabilities. This latter feature in particular gives it an advantage over competitors like the iPad. How the keyboard pans out will be interesting to see as well, as users have six different keyboard options to choose from, ranging from a split keyboard option, to the standard QWERTY keyboard. 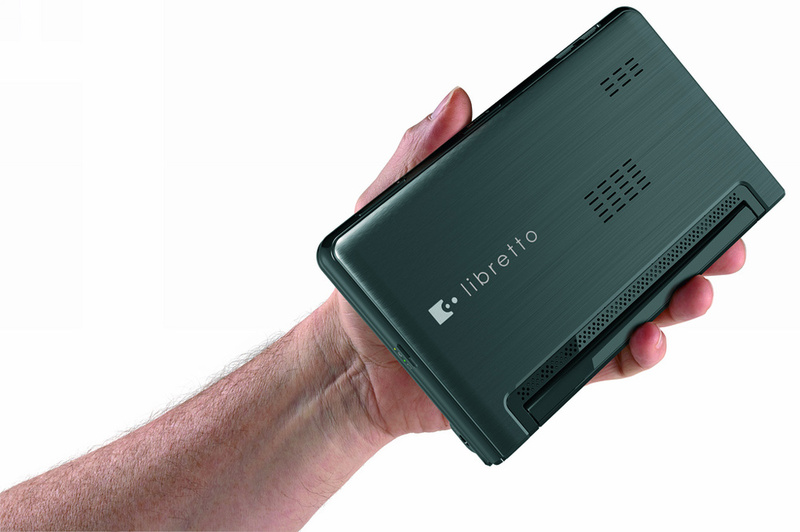 In terms of computing power, the Libretto will run on the Intel Pentium U5400 processor (1.2 Ghz), have 2GB DDR3 memory, and will come custom with a 62GB Solid State drive. Since the Libretto is intended as a mobile Internet and media device, users should find these specifications more than adequate. Other features include a built in 1.0 megapixel webcam, 802.11 b/g/n wireless adapter, Bluetooth 2.1+EDR, MicroSD card slot, a single USB 2.0 port and an 8-cell lithium ion battery. While the device boasts many interesting extra features, its initial price-tag may not quite as attractive. Priced at $1100, the Libretto is definitely not meant for those looking for the next high-tech ‘toy’ to play around with. 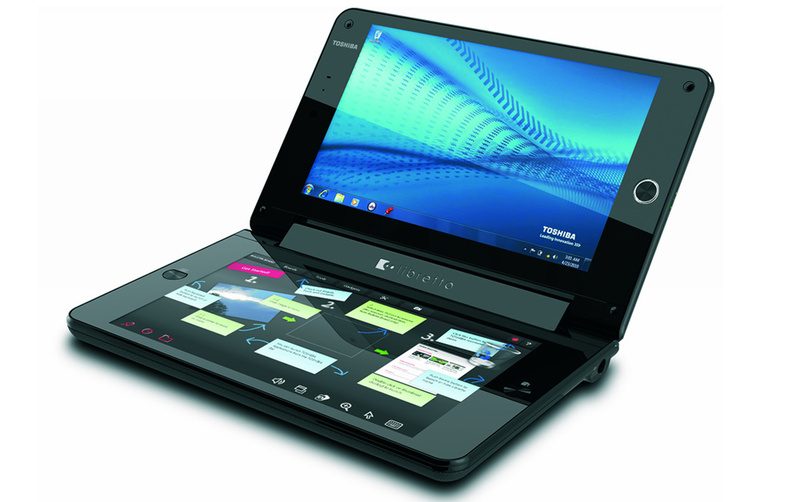 The steep pricing may be due to Toshiba’s intent to release a limited number of devices, which reinforces the fact that the Libretto is really meant as a concept product. Despite the limited release, it should be interesting to see how the industry will continue to innovate for the tablet market.